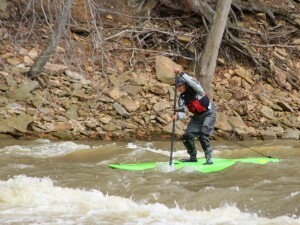 SUP on the Casselman with Riversport! This year has been great for SUP in the U.S. We have more boards than ever to choose from and the mother nature has been giving us consistent rain. 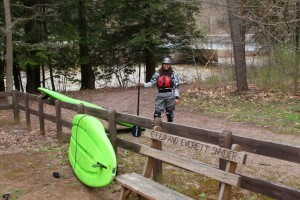 We had the pleasure of spending a few days in Pennsylvania and while there we visited the good folks at Emotion Kayaks and Riversport School of Paddling. Riversport has a great location in Confluence PA. 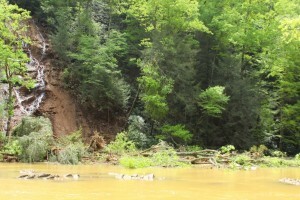 They are on the banks of the Middle Yough and 3 minutes from the Casselman. Erica and Andy Smith are the owners and also have the Lucky Dog Cafe. 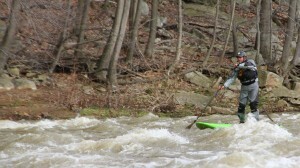 Andy took us to the Casselman with a flow of 5 to 6 feet. It was running high and fast when we got to the put in. The Casselman has good flow all year. We happened to catch it with a great amount of water. 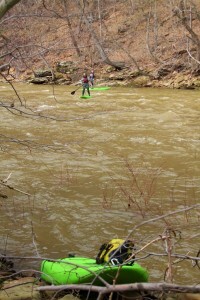 We put the skegs on the Traverse and hit the water. IR and Riversport hooked us up with dry gear. The weather was a balmy 50 degrees, water 50 and the wind was gusting 50 as well. We found some amazing wave trains and huge holes. The wind was blowing so hard we almost couldn’t leave the eddies. It took us about 1.5 hours to do the run. Lots of tributaries with waterfalls could be seen as we descended the canyon. 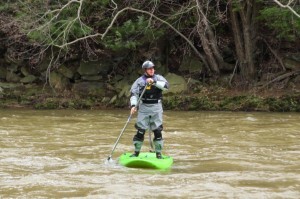 It was a great day and perfect levels for the SUP First descent of the Upper Casselman. I can’t wait to get back up there and run it with different flows this summer. 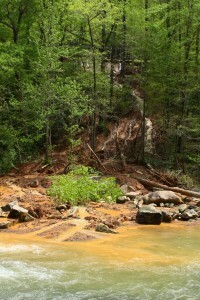 Ocoee season is here…with mudslides and heavy rain. Last night the TVA decided to test the flume line. While testing, Mother Nature dumped about an inch and a half of rain. The end result is several mud slides and some amazing waterfalls. Slice and Dice rapid has some new dirt on river left. As you can see in the pic. 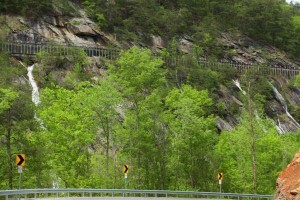 Tablesaw rapid used to have 2 lines. Now the left line is blocked and we will be goin right. 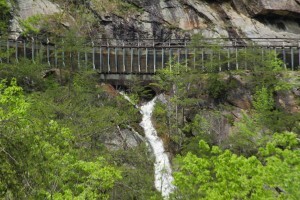 This is one of the leaks coming out of the flume! It reminds me of Veracruz Mexico after heavy rains. Waterfalls everywhere.